Earthquake in Nepal just now more with Nepal Earthquake!! I returned from Birganj this morning; a heated region down the terai of Nepal. I saw factories on the way to Simara and Birganj which was being affected by this recent Earthquake in Nepal on 25th April 2015. I heard the shaken Nepal at Sindhupalanchok district yesterday night again, it went about 5.2 on rector scales. After shocks are still coming and has not been stable completely. I feel few missing things that I didn’t mentioned here at the moment. A fear! Nepalese have now. Shaken hearts for those who directly impacted by this earthquake and its aftershocks. For those who trapped inside the rumbles and have survived, still have shaken hearts even while hearing small aftershocks when befall. 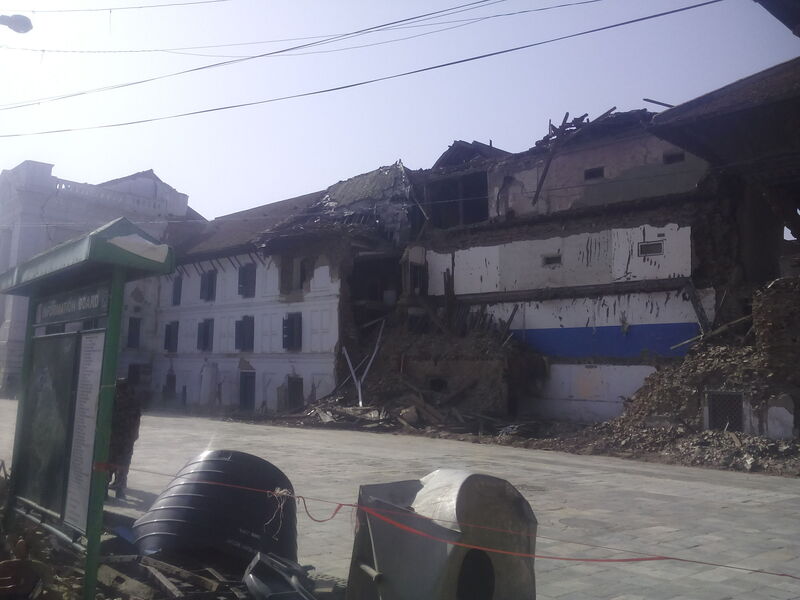 The impacts are everywhere in the houses of Nepal. Most foreigner don’t choose to live forever in Nepal after the events of earthquake occurred. The trips and visits to Nepal has tremendously fallen off. The aid to Nepal recently has also been fallen off – why? because of the media, in comparison to earlier close to the 25th April 2015. But, one thing is surprised – the savings of people in the bank has tremendously increased. So that the Central bank can even give loans to the Nepalese Government at 3% interests. The safety and consciousness towards future has also been marked high in this regards. Nevertheless, what will happen in the future, people are conscious of construction of earthquake risk bearing shelters and houses and also doing insurance for the future risks. Regarding current scenario for the liability of Insurance company towards the damaged properties insured looks higher. The insurance companies even have got the huge surplus of flow of cash into the companies which has been slammed inside the companies itself due to lack of proper outward flow of cash to the concerned needful clients of the insurer. The same is the cash for Aid which has come into Nepalese government. The problem looks similar in regarding the two entities but the convex look into details may be different. The ability to pay the premium amount and how much is its amount depends on the clients ability to pay in which the insurance company just for the sake of getting small regular premium, the proper evaluation of the property seems lacking. One of Nepalese bank scenario which I would like to mention here – The bank did the insurance of their client’s property on which they have given loans. For the security of their loans, bank itself make an insurance to the loan property, so that it is safe for the future. But, one thing ! They do it in Book value!! How could you get the return of your lost property or funds which has been done in Book value and you want to it after 5, 10 and 15 years later. In Nepalese economical scenario, talking about inflation Lets say 15% ( whatever it is ). The percentage of inflation higher impacts the price of now in the market. How could you get the same product you bought 15 years back and you want to get it now in the same price? It is not practicable to insure the property in the book value. That’s it. Earthquake damaged houses in Nepal after earthquakes and a series of aftershocks, they have been categorized and marked by red stickers, green stickers and so on , according to its severity of the damages done by earthquakes. Here, the house owners have to understand if suppose the house is marked safe to live is safe to live now, not for the future calamities if occurred. The tricky situation which all we face is because earthquakes can not be predicted as far as today’s scenarios are being concerned. It’s inside our earth – solely inside!! Many things still we don’t know about it and it is true. Yes! Earthquake revealed one shaken truth to Nepalese – naturally. This is an evidence that we, Nepalese are living on the vulnerable area in which earthquakes will happen. 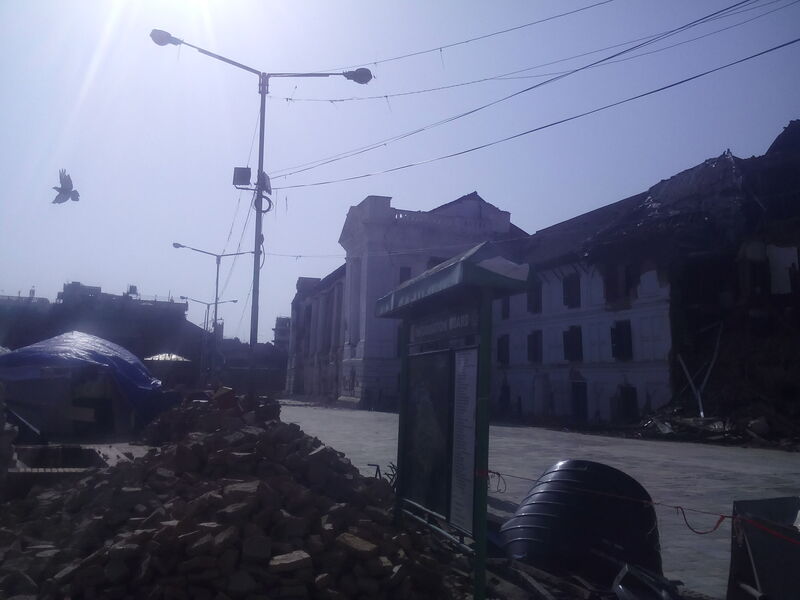 There has been a history of Earthquakes in Nepal occurred in the past. At the moment we know it has been but not taken care of before its devastation. Nearly a century, we didn’t take care of. Now we realized making huge buildings is not a pride!! but a risk to our own lives. Many greedy men built commercial houses and sold to another migrants who were generally migrating to kathmandu and due to not able find lands in his desired place, they bought those houses for living in the city. The recent earthquakes revealed those houses found damaged on the majority cases. Those greedy men sold those commercial houses in high prices. The buyers had insured those commercial houses and due to inflation the price insured in book value of the building didn’t recovered after damages. Some of the building are in Bank loan. But, the bank only covers the loan amount and not the total value of the building in present market. The buyers are on high risk not getting the insured amount if building found damaged. The policy covered in the insurance policy revealed 2.5% of the insured amount, or Rs. 10 lacs whichever is less, is bearable by the client himself. This term that most didn’t care about before, are now not getting the repaired amounts in a minor damages cases. The insured amount found less in comparison to the total market value of the property which also made the client not getting the total required sum insured by the client from the insurance company. The regular payment of premium thinking that we are secured for the risk of future seemed jeopardized. The depreciation of the insured property and salvage values are still there for deduction wherever applicable. ← Development studies in Nepal – a Need! Helpful information. Fortunate me I found your site unintentionally, and I am stunned why this accident didn’t came about earlier! I bookmarked it. great post, very informative. I’m wondering why the opposite specialists of this sector do not understand this. You should continue your writing. I am sure, you have a huge readers’ base already! Sorry for the huge review, but Iâ€™m genuinely loving the new Zune, and hope this, as properly as the outstanding reviews some other men and women have written, will support you decide if itâ€™s the correct choice for you. I would like to thnkx for the efforts you have put in writing this site. I am hoping the same high-grade web site post from you in the upcoming as well. In fact your creative writing abilities has encouraged me to get my own website now. Actually the blogging is spreading its wings rapidly. Your write up is a great example of it. I would like to show thanks to the writer just for bailing me out of this type of challenge. Just after searching throughout the world wide web and coming across basics that were not pleasant, I was thinking my life was well over. Being alive without the presence of strategies to the issues you’ve fixed all through your good post is a crucial case, as well as the ones that could have badly damaged my career if I had not come across the blog. Your personal mastery and kindness in maneuvering all the pieces was vital. I am not sure what I would have done if I had not come upon such a subject like this. It’s possible to at this point look ahead to my future. Thanks a lot so much for this expert and results-oriented help. I will not be reluctant to endorse the blog to anyone who needs support about this matter.